Thank you for your interest in entering a Dansko Giveaway sweepstakes. The Dansko Giveaway sweepstakes (a "Giveaway" or the "Giveaways") are sponsored by Dansko, LLC ("Dansko") and the following are the official rules/terms for the Giveaways (the "Official Rules"). By participating in a Giveaway, each Entrant (as defined below) agrees to and accepts these Official Rules and the decisions of Dansko, which are final and binding in all matters related to the Giveaways. Any Entrant selected as the potential winner must comply with all terms and conditions of these Official Rules and winning is contingent upon fulfilling all such requirements. Eligibility.The Giveaways are only open to legal residents of the fifty (50) United States (including the District of Columbia but excluding the territory of Puerto Rico) and the provinces and territories of Canada (excluding Québec) or as specified in the Giveaway Summary (as defined below) (the "Giveaway Territory") who are at least eighteen (18) years of age at the time of entry ("Entrant(s)"). 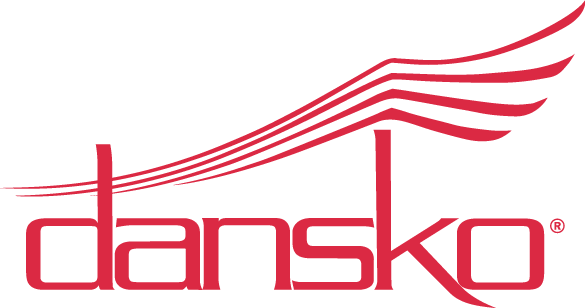 Employees, officers, agents and representatives of Dansko (as well as Dansko's respective partners, related companies, divisions, subsidiaries, affiliates), and the "relatives" of each such employee, officer or representative (and persons with whom any of the above persons are domiciled) are not eligible. For purposes of the Official Rules, the term "relatives" means spouse, mother, father, in-laws, grandmother, grandfather, brother, sister, children and grandchildren. The Online Channel (as defined below) pages and advertisements relating to the Giveaways are intended for viewing only by Entrants located and residing in the Giveaway Territory and that are eligible to enter the Giveaways. If you are not a legal resident of the fifty (50) United States (including the District of Columbia but excluding the territory of Puerto Rico) or the provinces and territories of Canada (excluding Québec) and are not at least of the age of majority at the time of entry, please do not proceed to enter a Giveaway. Entrants must be physically present in the Giveaway Territory at the time of their entry. The Giveaways are void where prohibited or restricted by law and subject to all federal, state, municipal, provincial, territorial, and local laws and regulations. There is no purchase necessary to enter a Giveaway and making a purchase will not improve your chances of being selected as part of the Giveaways. Giveaway Information. Dansko will provide information about each Giveaway, including specific instructions for the options for entering and details about each Giveaway Prize (as defined below) in the "Giveaway Summary." The Giveaway Summary will be provided by Dansko either online (such as at www.dansko.com or on Dansko's social media pages or such other internet destination that may be designated by Dansko (the "Online Channel")), or on promotional materials, or in retail stores, or at trade shows, or through such other means or locations as deemed appropriate by Dansko. From the Online Channel, you will be directed to a web page that contains the entry form where you will be prompted to enter your information or otherwise provided instructions for entering (such as by commenting on a post on a Dansko social media page). By submitting your information, you will be entered into a random drawing for a Prize (as defined below) from among all eligible entries received by Dansko. All online entries must be submitted at and through the Online Channel, and according to all applicable directions as listed on the Online Channel, or the entry will be void. Entries that fail to provide all of the required information for a Giveaway will be disqualified. Entries generated by any automated means (such as through scripts or macros) will be disqualified. Dansko is not responsible for lost, late, incomplete, illegible, incomprehensible or misdirected entries, bugs, failures in servers, hardware or software transmission failure or loss or delayed or corrupted data transmissions or any injury or damage to any computer related to or resulting from entering or attempting to enter a Giveaway. If the Giveaway Summary includes the option for entering by mail: Send a 3"x5" piece of paper including your name, address (P.O. Boxes not permitted), day and evening phone number, email address, month and year of birth, and the identifying name and/or number for the Giveaway and mail it, in a business size #10 envelope (including proper postage prepaid) to: Dansko Marketing/Giveaways, 33 Federal Road, West Grove, PA 19390. All mailed entries must be complete and legible and there is a limit of one (1) entry per envelope and, as stated below, one (1) entry per household for each Giveaway. No mailed entries will be acknowledged or returned. Proof of sending will not be deemed to be proof of receipt by Dansko. Submission of an entry by mail constitutes the constructive acceptance of and agreement with these Official Rules and an entry by mail shall serve as evidence of such acceptance and agreement. If the Giveaway Summary includes other options for entering: The Giveaway may describe other options for entering such as in a retail store. Entries Generally. All entries for a Giveaway (regardless of the type of entry form) must be received by Dansko, posted, or postmarked by the end of the applicable Giveaway Period (as defined below) in order to be eligible; entries received after the end of the Giveaway Period are not eligible to win. All information provided by Entrants must be complete, true and correct. All submitted entries become the property of Dansko and will not be acknowledged or returned. Dansko is not responsible for lost, late, invalid, unintelligible, misdirected, inaccurate, incomplete, damaged, illegible, postage-due mailed entries, or misdirected entries, all of which will be disqualified. Entry is limited to one entry per household (for each Giveaway) or as specified in the Giveaway Summary; no automated, photocopied or reproduced entries will be accepted. Multiple entries, unless allowed for in the Giveaway Summary, will result in disqualification of all submitted entries. Entries by any method other than set forth above are void. The start and end dates of each Giveaway (the "Giveaway Period") will be identified in the Giveaway Summary. For all Giveaways, unless otherwise described in the Giveaway Summary, the start time will be deemed to be 12pm/noon ET on the start date and the end time will be deemed to be 11:59pm ET on the end date. The prize(s) and the number of prizes in each Giveaway will be identified in the Giveaway Summary (each a "Prize"). Any depiction of a Prize is for illustrative purposes only. No cash or other substitution may be made, except by Dansko, and Dansko reserves the right to substitute a Prize with another prize of equal or greater value if a Prize is not available for any reason as determined by Dansko in its sole discretion. In no event will more than the stated number of Prizes be awarded. All expenses not specified herein or in the Giveaway Summary, including, without limitation, all federal, state and local taxes, are each winner's sole responsibility. Approximate Retail Value. The approximate retail value ("ARV") of each individual Prize may vary by each Giveaway and will be specified on the Giveaway Summary. However, each individual Prize will typically have an ARV of between three dollars ($3.00) and three hundred U.S. dollars ($300); in no event shall a Prize have an ARV equal to or more than five thousand U.S. dollars ($5,000). Drawing and Winner(s). Within a reasonable time following the end of a Giveaway Period, Dansko will select the names of the potential winner(s) in a random drawing from all eligible entries received during each Giveaway Period. The number of winners to be selected in a specific Giveaway will be identified in the Giveaway Summary. The odds of being selected as a potential winner depend on the number of eligible entries received during the Giveaway Period. Subject to verification by Dansko, potential winner(s) will be notified via telephone, mail, e-mail, or, if applicable, message through the associated social media platform that the potential winner(s) is/are a Prize winner. If potential winner(s) cannot be reached after a reasonable effort has been made by Dansko during three (3) business days from the first attempt, or if an entrant is found to be ineligible, alternate winner(s) may be selected at random from all eligible entries received during the Giveaway Period. If any Prize or Prize notification is returned as undeliverable, the winner may be disqualified, and an alternate winner may be selected. A potential winner must continue to comply with all terms and conditions of these Official Rules, and winning is contingent upon fulfilling all requirements. Limit one (1) Prize per household for each Giveaway. For Canadian Residents. Prior to being declared a winner, a selected entrant who is a resident of Canada will be required to answer correctly, without assistance, a skill-testing question to be provided by Dansko. Publicity. Except where prohibited, participation in a Giveaway constitutes winner's consent for Dansko to use winner's name, likeness, voice, opinions, biographical information, hometown and/or province/territory for promotional purposes in any media without further payment or consideration. Release and Limitations of Liability. By participating in a Giveaway, Entrants agree to release and hold harmless Dansko and any officers, directors, shareholders, employees, agents and representatives of Dansko or any parent or affiliated companies of Dansko and their officers, directors, shareholders, employees, agents or representatives (individually and collectively, "Releasees") from and against any claim or cause of action arising out of participation in a Giveaway and any and all liability, claims or actions of any kind whatsoever for injuries, damages or losses to persons and property which may be sustained in connection with a Giveaway or receipt, ownership, possession, use, or misuse of any Prize, including, but not limited to: (i) unauthorized human intervention in a Giveaway; (ii) technical failures of any kind, including but not limited to the malfunctioning of any computer, cable, network, hardware or software, delay in operation or transmission, communications line failure, technology outage, theft or destruction or unauthorized access to, or alteration of entries, whether caused by the sender or any of the equipment or programming associated with or utilized in a Giveaway; (iii) the unavailability or inaccessibility of any transmissions or telephone or Internet service; (iv) electronic or human error which may occur in the administration of a Giveaway or the processing of entries; (v) printing errors; (vi) lost, late, postage-due, misdirected, or undeliverable mail; or (vii) injury or damage to persons or property which may be caused, directly or indirectly, in whole or in part, from an Entrant's participation in a Giveaway or receipt of or use of any Prize. Entrant further agrees that in any cause of action, the Releasees' liability will be limited to the cost of entering and participating in the relevant Giveaway, and in no event shall the Releasees be liable for attorney's fees. Entrant waives the right to claim any damages whatsoever, including, but not limited to, punitive, consequential, direct, or indirect damages. If for any reason an Entrant's entry is confirmed to have been erroneously deleted, lost, or otherwise destroyed or corrupted, Entrant's sole remedy is another entry in a similar, future Giveaway, provided that if it is not possible to award another entry due to discontinuance of a Giveaway, or any part of it, for any reason, Dansko, in its discretion, may elect to hold a random drawing from among all eligible entries received up to the date of discontinuance for any or all of the Prizes offered herein. Dansko is not obligated to communicate with any Entrant during the duration of a Giveaway to advise of disqualification, regardless of reason for the disqualification. Dispute Resolution. Except where otherwise prohibited by law, Entrants agree that: (i) all issues and questions concerning the interpretation, validity, and enforceability of these Official Rules, or the rights and obligations of participants and Dansko and its agents shall be governed by and construed exclusively in accordance with the laws of the Commonwealth of Pennsylvania, without regard to its rules on conflicts of law; (ii) any action at law or in equity arising out of or relating to a Giveaway, or awarding of the Prize, shall be filed only in the United States District Court for the Eastern District of Pennsylvania, or, if there is no jurisdiction therein, the Court of Common Pleas, Chester County, in West Chester, Pennsylvania, and Entrant hereby consents and submits to the personal jurisdiction of such courts for the purposes of litigating any such action; (iii) any and all disputes, claims, and causes of action arising out of or connected with a Giveaway, or awarding of the Prize, shall be resolved individually, without resort to any form of class action; (iv) any and all claims, judgments and awards shall be limited to actual out-of-pocket costs incurred, including costs associated with participating in a Giveaway but in no event attorneys' fees; and (v) Entrants hereby waive all rights to claim punitive, incidental and consequential damages and any other damages, other than for actual out-of-pocket expenses, and any and all rights to have damages multiplied or otherwise increased. SOME JURISDICTIONS DO NOT ALLOW THE LIMITATION OR EXCLUSION OF LIABILITY FOR INCIDENTAL OR CONSEQUENTIAL DAMAGES, SO THE ABOVE MAY NOT APPLY IN ALL INSTANCES. General Rules and Conditions. By participating in a Giveaway, Entrants agree to be bound by and accepts these Official Rules and the decisions of Dansko (including, without limitation, decisions regarding eligibility of entries, the selection of Entrants and the winner, and the awarding of Prize(s)), which are final and binding in all respects. Dansko reserves the right to amend these Official Rules. Dansko reserves the right, in its sole discretion, to terminate, modify or suspend a Giveaway and/or rescind any prize if, in Dansko's sole judgment, there is any suspected or actual evidence of electronic or non-electronic tampering or compromise in any way with or of any portion of a Giveaway, or if viruses, bugs, unauthorized intervention, fraud, technical difficulties or failures or any other factor beyond Dansko's reasonable control corrupt or affect the administration, security, fairness, integrity or proper conduct of a Giveaway. In such event, Dansko reserves the right (but does not have the obligation) in its sole discretion to award Prize(s) at random from among eligible, non-suspect entries received up to the time of suspected impairment. Dansko may permanently disqualify from a Giveaway any person it believes has tampered with the entry process or intentionally violated these Official Rules. Any attempt by any person to deliberately damage any Online Channel or website or undermine the legitimate operation of the Giveaways is a violation of criminal and civil law, and, should such an attempt be made, Dansko reserves the right to seek damages from any such person to the fullest extent permitted by law. Dansko's failure to enforce any term of these Official Rules shall not constitute a waiver of that provision. Dansko is not responsible for typographical or other errors in the offer or administration of the Giveaways, including but not limited to: errors in the advertising, Official Rules, selection and announcement of the winner and distribution of Prize(s). Dansko has the right to lock out an Entrant whose eligibility is in question or who has been disqualified or is otherwise ineligible to enter the Giveaways or who Dansko suspects to be doing any of the following: (a) tampering or attempting to tamper with the entry process or the operation of the Giveaways or the Online Channel; (b) violating these Official Rules; (c) acting in an unsportsmanlike or disruptive manner, or with intent to annoy, abuse, threaten or harass any other person or (d) for any other good cause as determined solely by Dansko. Dansko has the right to conduct a background check (the "Check") of any and all records of a winner, including without limitation, civil and criminal court records and police reports, which he/she, to the extent necessary under law, shall authorize. Dansko may take all steps necessary to corroborate any information provided to Dansko by the winner, and he/she will be obligated to provide necessary contacts and information for the Check, and if any felony or misdemeanor conviction is found respecting the winner, or if there is anything that conflicts with Dansko's image, Dansko has the right, in its sole discretion, to disqualify the potential winner from winning a Prize. WE'RE SORRY, BUT ONLY PERSONS 18 OR OVER MAY SUBMIT CONTENT TO DANSKO. IF YOU ARE UNDER THE AGE 18, WE'RE SORRY BUT WE CANNOT REVIEW OR USE YOUR CONTENT. By submitting Content , you agree that Dansko may use your name, voice, or image and any quotes attributable to you, and any such photos, videos, or audio recordings of or by you as described herein. You grant the rights hereunder whether or not your name, voice, or image, or any quotes attributable to you are used in any manner by Dansko and Dansko reserves the right in Dansko's sole discretion NOT to use any submitted Content. You grant to Dansko a worldwide, irrevocable, royalty-free, perpetual right and license to copy, reproduce, modify, edit, make derivative works, distribute, publish (publicly or otherwise), display, link to, and otherwise use the Content, whether in whole or in part, in any media for any purpose including but not limited to publication on the Site, in advertising, and other commercial uses. You irrevocably waive all moral rights and all rights related to use by Dansko. You agree to indemnify, release, discharge and hold harmless Dansko, its officers, directors, employees, agents, contractors, successors and assigns from any claims, causes of action, damages, costs or expenses of any sort arising out of or connected with the use of any of the Content, or your name, voice, or image, or any quotes attributable to you. You further understand and agree that others may view the Content and may comment on the Content as they see fit such as in (but not limited to) contests or polls and Dansko reserves the right to remove comments, but has no obligation to do so, at any time and for any reason at the sole discretion of Dansko. you understand and agree that all Content is subject to review and editing by Dansko prior to any posting or use by Dansko. You further acknowledge that Dansko reserves the right to remove Content at any time and for any reason at Dansko's sole discretion. The parties expressly request that this Consent and all related documents be drafted in English only. Les parties demandent expressément que le présent consentement et tout document s'y afférent soient rédigés en anglais seulement.